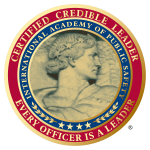 The graduates of CCLI, II, III, and IV will be eligible to apply for National Credible Leadership Certification through the Criminal Justice Commission for Credible Leadership Development (CJC-CLD®). 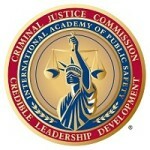 Launched February 1, 2014, the Criminal Justice Commission for Credible Leadership Development (CJC-CLD®) is an alliance of men and women with dynamic qualifications in personal leadership and experi ence developing leaders in law enforcement, corrections and military disciplines. The Commissioners, Executive Committee and Advisors are veteran professionals in the fields of criminal justice, the military and academia. The CJC-CLD is responsible for qualifying and endorsing Credible Leadership Organizations (CLO) and training Certified Credible Leaders (CCL). These designations are recognized internationally as symbols of quality reflecting an organization’s and an individual’s commitment to meeting CJC-CLD ethical and performance standards.